robotGEEK'S Cult Cinema: The Disaster Artist Official Trailer Is Up!! If you love bad movies, and who doesn't really, then you're well aware of the existence of a little film called The Room. It's quite literally a disaster of the best kind. That film's co-star, Greg Sestero, wrote a best-selling book about the making of that cult classic, and what it was like being a friend to the film's writer, director, producer and star Tommy Wiseau. I've read it, and it's a great book, full of hilarious and highly insightful information regarding the insane production and also just who the hell Tommy Wiseau is. I'll tell you, nobody really truly knows. He's a mystery of epic proportions and guards his secrets with a tight reign. Though little bits and pieces of his past have been dug up, I don't think we'll ever really know the "whole" Tommy. 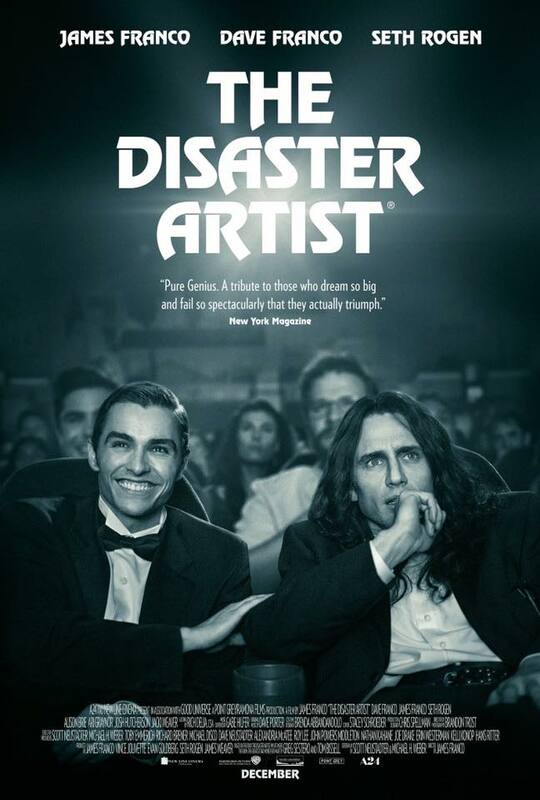 James Franco stars as Tommy Wiseau (brilliant casting) and directs this adaptation of Sestero's book The Disaster Artist with his long-time partner and friend Seth Rogan producing and co-starring. Franco's brother Dave plays Greg Sestero. The film will be released on December 1st and has already been receiving rave reviews from the festival circuit. I for one cannot wait! Check out the trailer below.